Great ! this is turning into a HWI invasion of Ireland. This event has now been confirmed by Bedlam Management. It is highly likely that a further concert will be held in Limerick the following evening (9th Dec) but full details (including the venue) have yet to be confirmed. A new thread will be started as soon as all details are known. No news yet from UCH Limerick or from the RTE website. But there's a nice page on Hayley's Dublin Concert in December - page 9. I have my hotel booked and my flight tickets arrived yesterday. I will be flying out with Aer Lingus from Birmingham mid afternoon Monday and back on Wednesday. Anyone traveling from the UK for Hayley's concert in Dublin might be able to take advantage of Ryanairs sale today with tickets costing £2stg return including tax. Not sure whether or not this confirms or affects the set list published by the RTE. Tommorow traveling to Belfast, and back to Dublin on tuesday!! BTW...........will there be a pre gathering before the concert?? 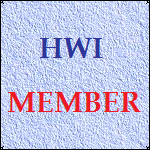 I guess, most of the HWI -ers are in the Harcourt Hotel..........?? I noticed some time ago that RTE had taken down that published programme, but not published a new one. I'm leaving soon now heading to Ireland! My first time on there. Gerard, at least Hayley's concert is still listed on the NCH website. Will be heading for the airport shortly i21.photobucket.com/albums/b294/hdjoespics/EEjdKsU.gif Hard to believe we booked this one almost 12 months ago!! Have a great time you all! what a wonderful concert given by Hayley and the RTE Concert Orchestra conducted by David Brophy, and followed by a very relaxed signing session.